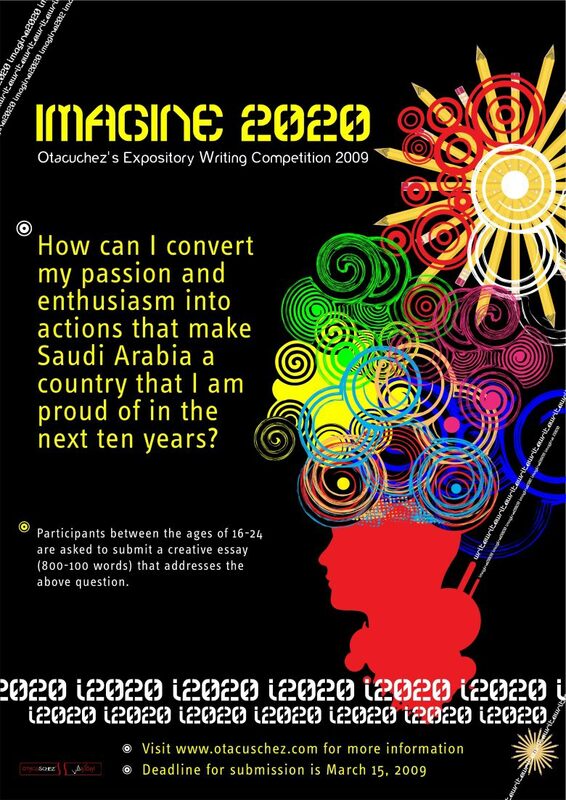 Imagine 2020 is a youth writing competition that took place in Khobar Saudi Arabia. The first of its kind, the competition encourage youths from ages 16-25 to express their thoughts, amibtions, goals, and dreams for themselves and for Saudi Arabia in the next ten years. 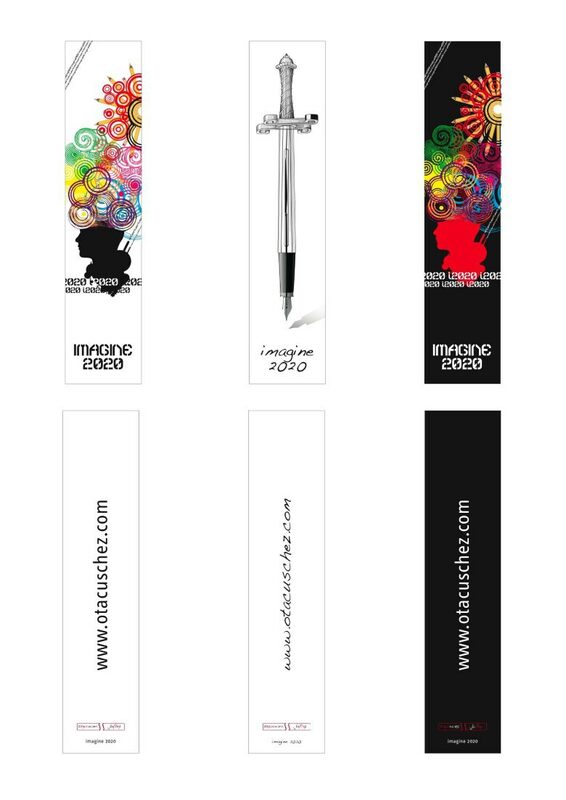 In order to attract attention and stimulate imagination, the logo and posters were created using vibrant colors of Blue, Green, Red, and Black. 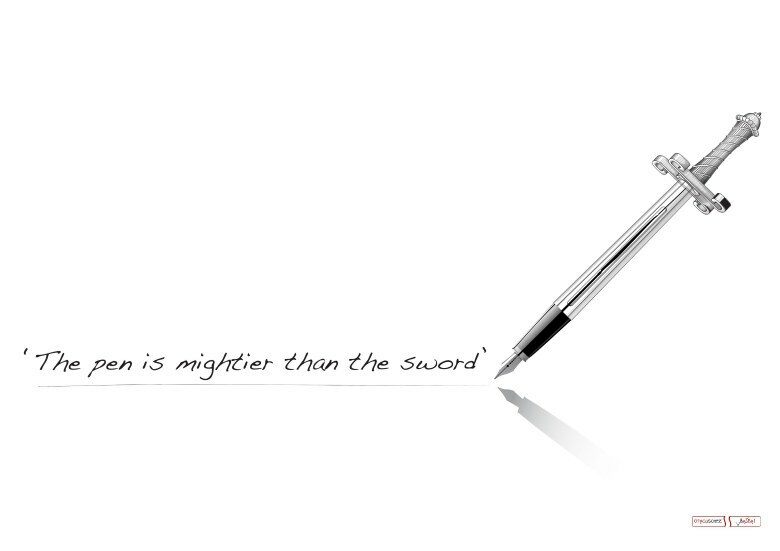 An image of an 'exploding' head is where your imagination is let loose with dreams, ideas, ambitions, goals, and hopes.